Selecting a wedding venue is undoubtedly one of the biggest decisions couples make when starting out their life together. It forms the foundation of almost every aspect of your wedding, including your guest list, the overall sense of style (formal vs. casual, modern vs. old world), the colors, the style of dressing, and the dates your wedding can be held. Your wedding location also forms the backdrop of your whole wedding celebration. When planning your wedding there are many decisions to make. Whether you choose to do the planning yourself, with the help of family and friends, or if you decide to use a professional wedding planner, there are endless decisions to make. As wedding photographers in Jacksonville, Fl, we have visited countless chapels, churches, estates, meeting halls, parks, gardens and hotels for weddings. Each of these wedding venues presents their own set of advantages and disadvantages. Some couples may select a venue for their wedding because it has a special meaning to them. It may be a place their parents married, a church they have attended or even a park where they met for the first time. Other couples will choose a venue specially for the aesthetics. That emotional attachment to a place can often play an essential role in selecting the wedding venue for their magical day. 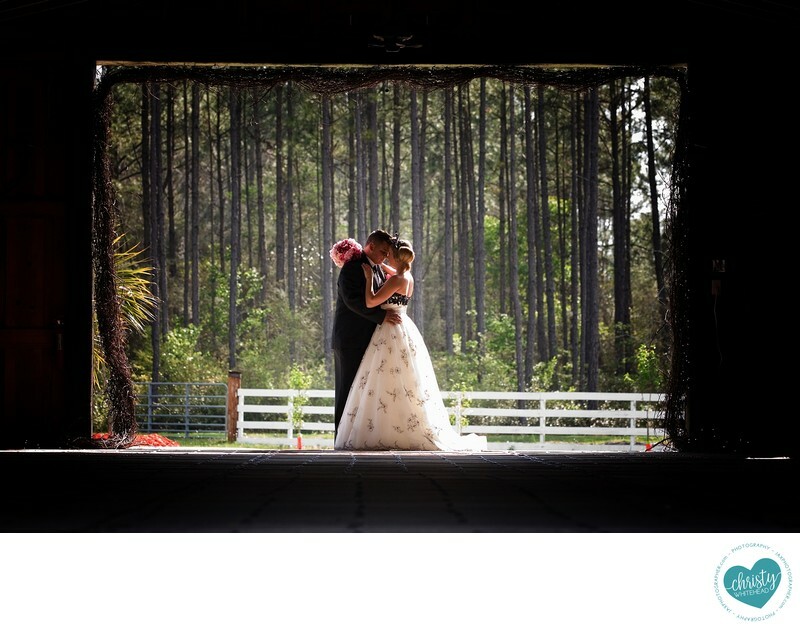 As one of the best North Florida photographers, we suggest that before you make your wedding venue decision, consider and answer these questions. Does the venue have a good location for you to dress for the wedding? As wedding photographers, we can tell you that there are some special moments that are captured on film when the groom and the bride are dressing for the wedding. Your wedding photos and video will be much aesthetically beautiful if you choose the right location. Does the venue have a good setting for outdoor photos? If you would like to have wedding photos or portraits taken outside, then you should consider whether there will be a perfect backdrop for these photos. Though we are well-equipped to offer excellent lighting for your wedding indoor photos, it’s good to ensure that the venue has enough natural lighting if you love photos taken in natural light. Are your colors matching or clashing with the venue’s color scheme? You may not care much whether the colors are matching or clashing if you’re emotionally attached to a place. However, it’s a good idea to consider the color scheme of your venue before selecting your wedding colors. Are there rules and restrictions for photographers? Many couples are not aware that some churches have rules that limit where the photographers are allowed to stand or even access. These rules sometimes greatly impact the angles that photographers can choose from when taking photos. When choosing your wedding venue, remember that you are choosing the backdrop of your wedding video and photos. By considering these questions, you’ll have a perfect idea whether a venue will be the best fit for you.